We would like to thank Tate Branch and HollyFrontier for making this school year a little bit easier for our youth and their families. 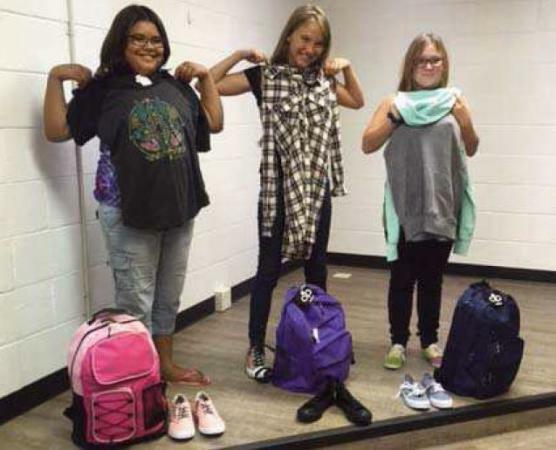 Through their generosity, our youth received school clothes and supplies for the upcoming school year. Both companies have been avid supporters since 7024U’s inception. 7024U helps Artesia’s youth with life and social skills, education, bullying awareness, substance abuse prevention, and introducing them to the arts. We accept referrals for youth in grades 6-12. If you would like to volunteer, refer a youth, or know more about our program, call 736-7024.